Below you can view all the homes for sale in the Oakmont subdivision located in Lawrenceville Georgia. 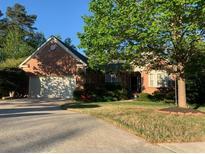 Listings in Oakmont are updated daily from data we receive from the Atlanta multiple listing service. To learn more about any of these homes or to receive custom notifications when a new property is listed for sale in Oakmont, give us a call at 404-998-4113. Basement Includes A Fully Finished In-Law Suite With A Nice Sized Kitchen, Separate Bathroom And Living Space.Must See, Won'T Last. MLS#8564983. Main Source Realty. Basement Includes A Fully Finished In-Law Suite With A Nice Sized Kitchen, Separate Bathroom And Living Space.Must See, Won'T Last. MLS#6537642. Main Source Realty, Llc.. This Excellent 1.5 Story Sfr Features An Open Floor Plan With 4 Bedrooms And 3 Full Bathroom,Formal Living Room,Dining Room,Guest Bedroom,Double Vanity,Master Bedroom With Double Tray Ceiling,Breakfast Bar,New Roof,Freshly Painted On The Interior And Exterior With Neutral Colors ,Thats Nestled On A Cul De Sac Lot.This Deal Will Not Last.Just Go Show MLS#6521939. Georgia Vision Realty Solutions Llc.